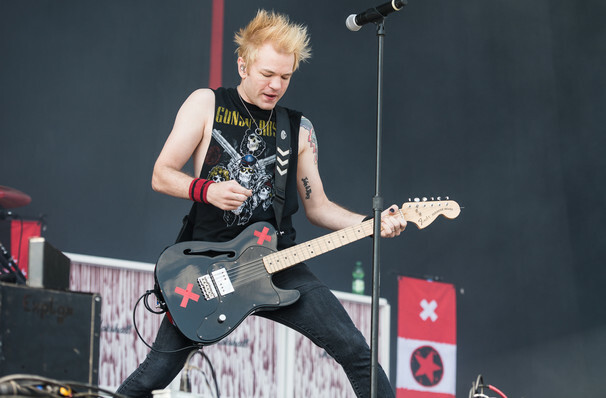 If you came of age in the early 2000s, there's a good chance that Sum 41's Does This Look Infected? formed part of the soundtrack to your teen angst and rebellion. Don't miss the chance to hear the songs of your formative years during the Canadian rockers' 2019 Up Close and Personal tour, with original members Deryck Whibley, Dave Baksh, Cone McCaslin, alongside Frank Zummo and Tom Thacker in the lineup. Fighting through an alcohol addiction to make a triumphant return to the band with the release of the 2016 album 13 Voices, this latest trek finds the singer fighting fit and ready to bring pop-punk perfection to a series of intimate club dates. Seen Sum 41? Loved it? Hated it? Sound good to you? Share this page on social media and let your friends know about Sum 41 at The Shelter. Please note: The term The Shelter and/or Sum 41 as well as all associated graphics, logos, and/or other trademarks, tradenames or copyrights are the property of the The Shelter and/or Sum 41 and are used herein for factual descriptive purposes only. 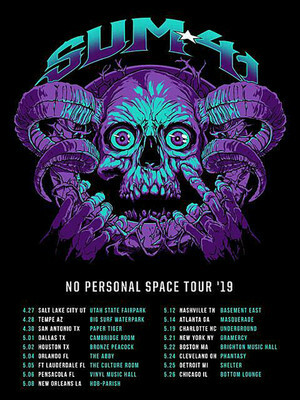 We are in no way associated with or authorized by the The Shelter and/or Sum 41 and neither that entity nor any of its affiliates have licensed or endorsed us to sell tickets, goods and or services in conjunction with their events.